Join us at Book Culture on 112th on Monday, April 8th at 7pm as we welcome David Greenberg to discuss his new book Alan Brinkley: A Life in History. Nicholas Lemann will be joining David in the discussion. Few American historians of his generation have had as much influence in both the academic and popular realms as Alan Brinkley. His debut work, the National Book Award–winning Voices of Protest, launched a storied career that considered the full spectrum of American political life. His books give serious and original treatments of populist dissent, the role of mass media, the struggles of liberalism and conservatism, and the powers and limits of the presidency. A longtime professor at Harvard University and Columbia University, Brinkley has shaped the field of U.S. history for generations of students through his textbooks and his mentorship of some of today’s foremost historians. 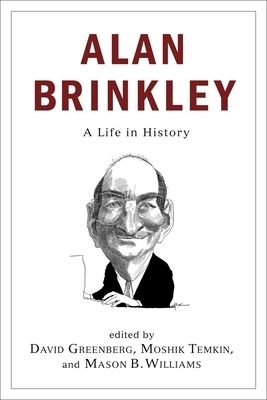 Alan Brinkley: A Life in History brings together essays on his major works and ideas, as well as personal reminiscences from leading historians and thinkers beyond the academy whom Brinkley collaborated with, befriended, and influenced. Among the luminaries in this volume are the critic Frank Rich, the journalists Jonathan Alter and Nicholas Lemann, the biographer A. Scott Berg, and the historians Eric Foner and Lizabeth Cohen. Together, the seventeen essays that form this book chronicle the life and thought of a working historian, the development of historical scholarship in our time, and the role that history plays in our public life. At a moment when Americans are pondering the plight of their democracy, this volume offers a timely overview of a consummate student—and teacher—of the American political tradition. David Greenberg, a historian of American politics, teaches at Rutgers University. His latest book is Republic of Spin: An Inside History of the American Presidency (2016). He is a regular contributor to Politico Magazine and was formerly managing editor and acting editor at the New Republic. He is co-editor, along with Moshik Temkin and Mason B. Williams, of Alan Brinkley: A Life in History. Nicholas Lemann is Joseph Pulitzer II and Edith Pulitzer Moore Professor of Journalism and Dean Emeritus at Columbia Journalism School. He has published five books, most recently Redemption: The Last Battle of the Civil War, and regularly contributes to the New Yorker as a staff writer.